ACE My Academics seeks to offer teachers a methodology for reading and writing instruction that promotes intellectual and social-emotional development for all students. When combined with the these empowering teacher orientations, there can be an even greater increase in student success. Learning Doctors, who utilize their hearts, minds, and senses to diagnose student problems and prescribe interventions for remediation (Brophy & Good, 1986). Scholar-Practioners, who actively consume information and have an ongoing commitment to improve their practice. Scientist-Practioners, who see their teaching environments as laboratories and take part in ongoing, thoughtful experimentation to improve student outcomes. Curriculum Developers, who create/appropriate curriculum to make an impact on student development, utilizing universal design and backward design principles that support high standards. Social Entrepreneurs, who combine sound learning and communication principles with critical thinking and problem solving skills to take on challenging issues. Teachers, who draw upon a strong pedagogical and personal foundation to constantly revive their commitment to transforming student lives. With these perspectives, educators can impart strength, courage, and wisdom (india.arie, 2001) and show warmth, a business-like orientation, enthusiasm, organization, the use of quality materials and activities, the use of clarity, structure, questioning and an academic focus (Rosenshine, 1971) that increase academic and social-emotional achievement. 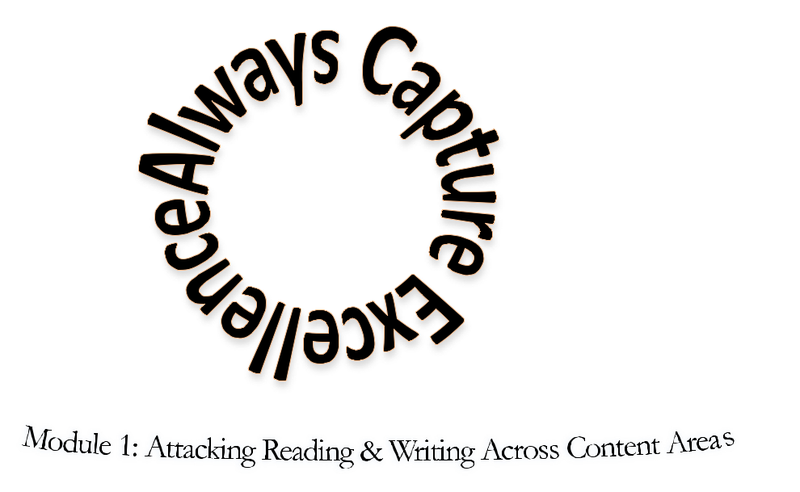 All learners should strive to Always Capture Excellence (ACE) in their work and in their personal development. There must be an equitable distribution of resources so all learners have the opportunity to set goals, meet them, and achieve their dreams. We must work to create a community of citizens and scholars who seek to solve life’s challenges across domains. To do so, education must provide a sound foundation for continuos growth. The following principles have guided the development of ACE My Academics. I think that a purpose of a fine education is to build an expanding knowledge base across disciplines, to refine ways of communicating it clearly, and promoting a life of meaningful productivity that includes service. I believe that educators are learning doctors who need to be trained in and practice diagnosis and intervention, which includes a background in Special Education, Educational Psychology, and in the methods of scientific research inquiry. I understand and support the interaction between scholastic rigor and warmth from student, parent, and educator perspectives, based on personal experience. I believe in utilizing a full array of intellectual, social-emotional, and technological resources in promoting a more complete, investigative understanding of phenomena. I look to cultivate the maturation of the whole person, integrating academic, social, and emotional constructs so that learners grow with wisdom, consciousness, and joy. I hope to help raise self-esteem, self-concept, and self-efficacy among all learners to improve achievement in all areas. I seek to support the range of learners, scaffolding student growth to promote achievement. I strive to make learning relevant and engaging so that learners can make meaningful connections between the subject matter and their prior knowledge. I look to broaden student intellectual opportunities by helping them construct linkages between seemingly divergent ideas to spur creativity and innovation. I ask learners to become flexible thinkers who actively advance their meta-cognitive and self-regulatory skills, intellectual curiosity, and motivation to love learning. I aim to fashion a collaborative learning environment where learners feel energized by delving into the perplexities of topics and working together to build understanding. I look to promote independence and interdependence system-wide to yield dynamic community participation. I believe in active cooperation among educators, parents, and learners to maximize success. I believe that all learners can make gains across varying domains. I believe in finding and growing the positive element in the learning situation, in the educator, and in the learner. With shared and accrued patience and perseverance skills by the teacher and the learner, coupled with an ongoing effort to seek out, develop, give, and utilize best practices, goals can be achieved and advancement can occur. This entire process must be celebrated. I have the utmost respect for learners of any age and look to help them on their path of development, and I believe that all learners deserve a high-quality educational experience throughout their lives.